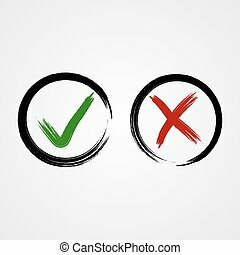 Check and cross mark. 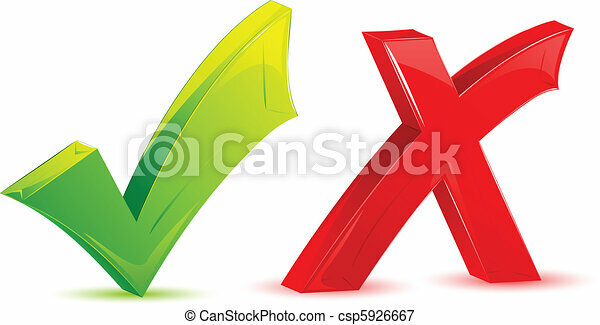 Illustration of green check mark and red cross mark on isolated background. 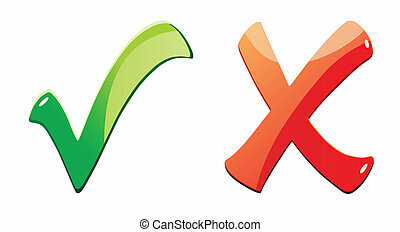 Check and Cross Mark Thin Line Vector Icon. Flat icon isolated on the white background. Editable EPS file. Vector illustration. 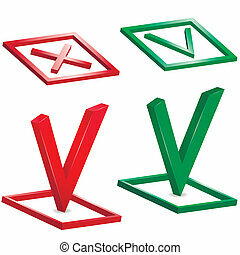 Check and cross mark icons. 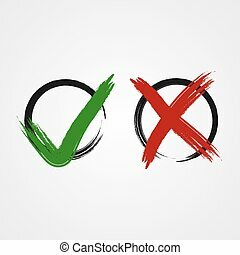 Vector symbol of yes and no. 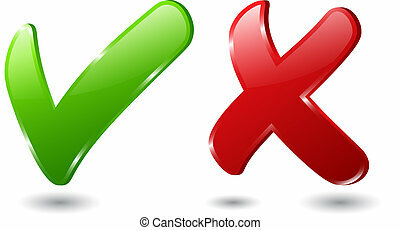 Isolated sign approved, choice checkmark. Yes or No icons. 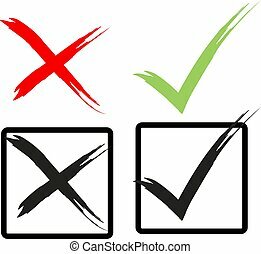 Wrong and right check marks made of wood. Check and cross mark. 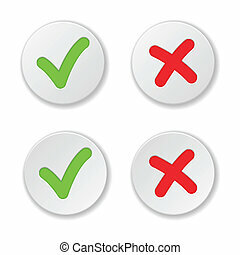 Vector illustration of positive and negative feedback concept. For web design and apps.